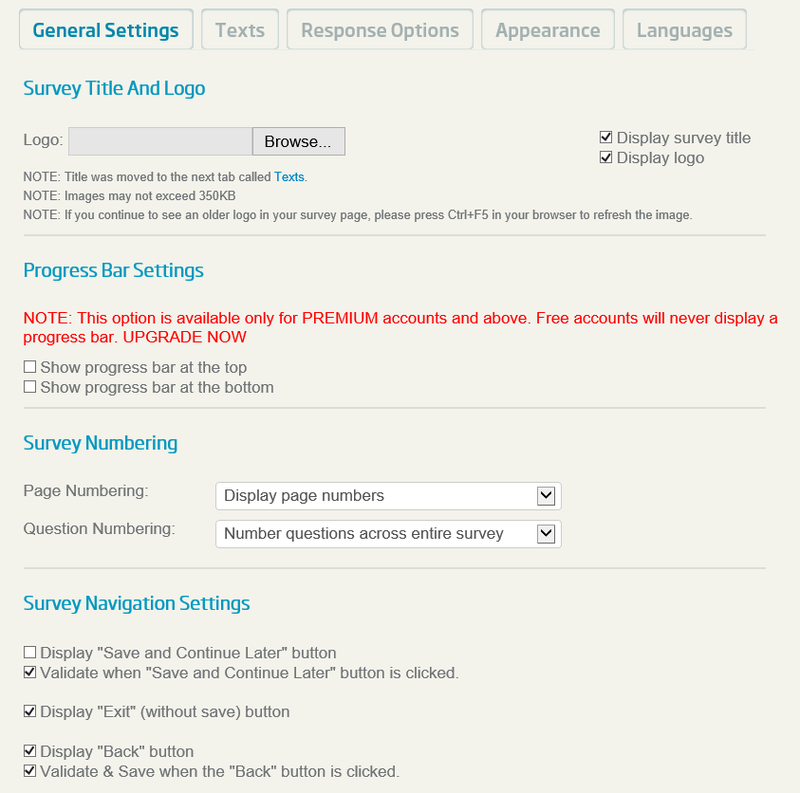 To change the Title of the survey, click on the "Texts" tab at the top. 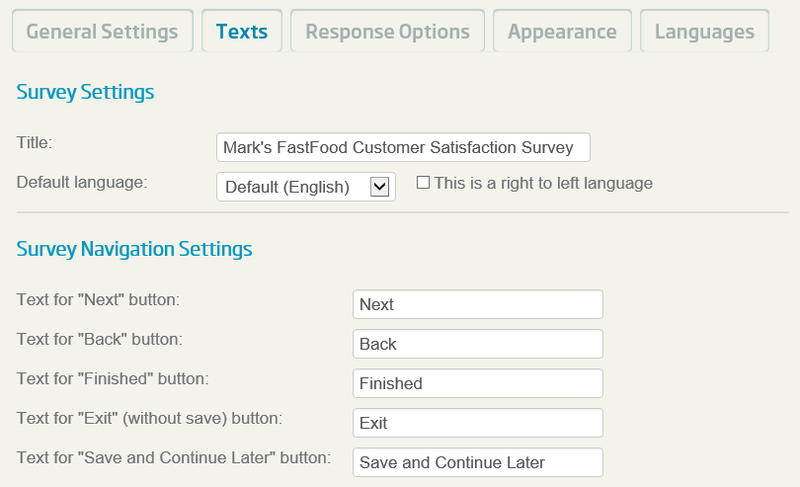 In the Title field near the top, enter/modify "Mark's FastFood Customer Satisfaction Survey". 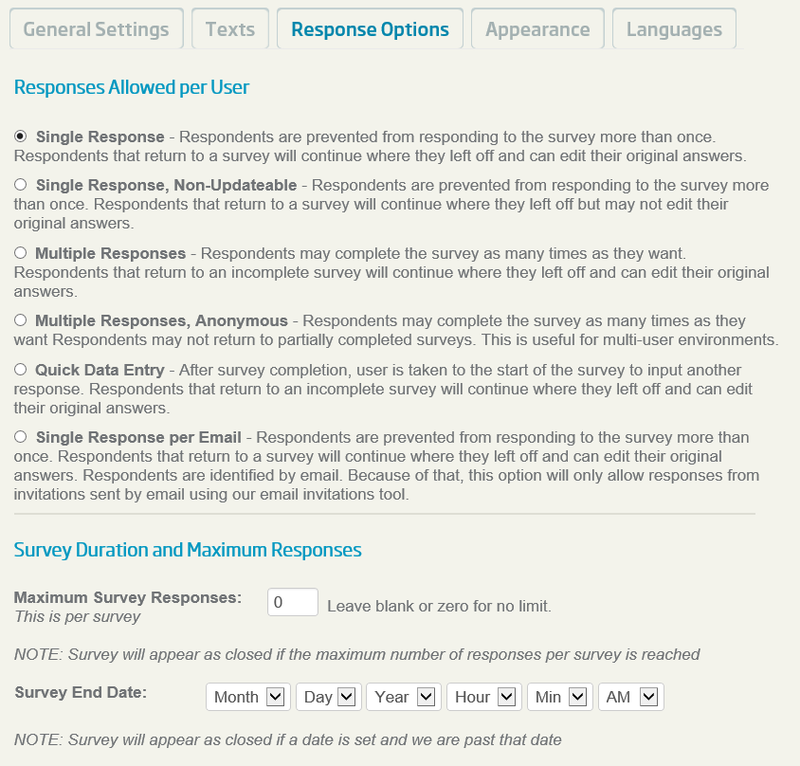 Next, click on the "Response Options" tab.